Assist faculty members transition from traditional to technology enabled courses. Provide guidance for instructional design and best practices. Investigate cases of academic misconduct as per faculty’s request. Provide support to faculty for course-related questions and issues. Be available for meetings with faculty. Our instructional designers are available by appointment for consultation and development of online courses and faculty training. 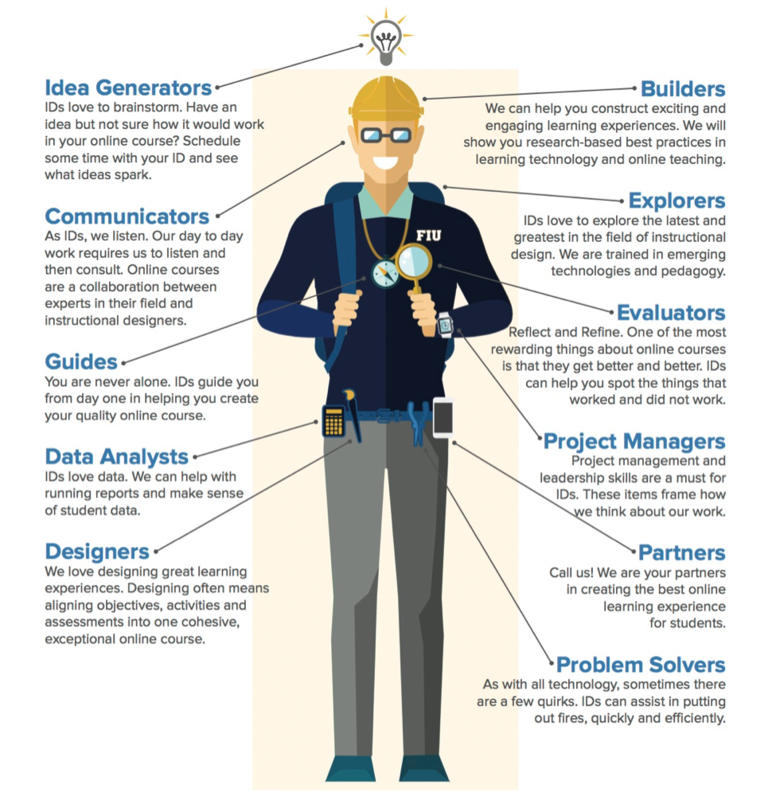 By keeping up with research on the theories, methods, and technologies that go into online learning, instructional designers are an invaluable resource when creating and managing online courses.